While living in Orlando, I taught a lesson at church on what the Bible says about alcohol. I was careful not to express the conclusion I have personally drawn on the topic. I did, however, do my best to teach what the Scriptures say, and to discuss the case for and the case against the permissibility of recreational drinking based on that alone. Certain points, such as an agreement among most Christians that getting substantially drunk is wrong, I took for granted. Instead, I considered two common conclusions: (1) that any recreational consumption of alcohol is sin, and (2) that God permits alcohol to be recreationally consumed in moderation. The intent was to have each person, regardless of what they currently believe, confront the conclusions that they must make about certain Bible passages for their view to be consistent with scripture. There is a flaw in taking this approach, that we should actually start with the Bible in its purity rather than coming to it with prejudice already established. I thought it would be unreasonable for me to expect people to approach each passage without bias on such a disputed topic – especially in the context of listening to an unexpected sermon. It made more sense to me to take people from where they are now and expose the implications of their belief regarding how they then must interpret related scriptures. The challenge would be to ask whether or not having drawn such a conclusion is reasonable in light of the alternative interpretation. I actually thought it would be obvious what conclusion I had personally drawn. I believe the Bible is ultimately pretty clear on this issue (though perhaps our English translations are not always as clear as the original texts would have been to the original recipients). The response to the study was surprising to me. Some who believed recreational alcohol consumption in moderation was permissible thought I was teaching that it was not, and some who stood firmly opposed to alcohol consumption as forbidden for any non-medicinal purpose thought I was teaching that it was okay to drink a little. This could be an indication of my own inability to effectively teach. I think it is more likely a result of my unwillingness to express my personal view. I’m okay with that. It doesn’t matter what I think – it only matters what God says. The conclusions we draw on this and everything else God says will ultimately end with each of us individually giving account before him. It’s not okay to be lazy about our conclusions about something addressed in the Bible as much as this is (2 Timothy 2:15 “be diligent […] rightly dividing the word of truth”). Our convictions are often well-intended and misplaced. Great humility is essential in our search for the truth, and God’s word must always take preeminence above all other reasoning. Traditions and respect for the faith of others can blind us from the truth and lead us to draw conclusions that God does not lead us to draw. We may think we are trusting his word, when the reality of our improper assumptions and prejudices is affecting our ability to see the word in its purity. It could be that my conclusions here are plagued with such bias. I have always been taught as truth a similar version of the conclusion I still draw today about recreational drinking. I have revisited this subject many times trying to overcome my prejudices, and I will continue to do so when I am challenged. My purpose here is to clarify why I conclude what I do on the subject. My close friends and family know that I do not drink recreationally and that I strongly disapprove of recreational drinking. I will not allow it to come into my home. I am disgusted by it like many others are disgusted by other recreational drugs. This is not because it is unhealthy (it is), nor because it causes devastation and ruin in people’s lives (it does). That can be said about many things that are not sinful in themselves. I am disgusted by recreational alcohol consumption because I believe that the Bible is clear in teaching that to drink alcohol recreationally is to disobey God. By definition, it is sin (1 John 3:4 “sin is lawlessness”). There are many in my life who disagree with me on this issue who have been incredibly considerate of my feelings on this. Out of respect for me, they have at times taken great care to keep alcohol in the cabinet and off the menu, I believe at times solely for the sake of my comfort. If any of you read this, I think you will know I am talking about you. I sincerely appreciate this. For those who may have or will at some point drink around me, please don’t think that I think less of you because of it or that you offended me – you most likely did not. I’m not asking you to change any behavior for my sake. I’m writing this to explain where I’m coming from, and more importantly so that you’ll take the time to question your own understanding of God’s will in this matter. This is why I don’t drink. God created grapes, and the process of fermentation is a natural process. Freshly squeezed grapes that haven’t been pasteurized do contain a certain about of natural living organisms, including yeast. It’s not unreasonable to think that even freshly squeezed juice at least has the potential to become fermented. In other words, God created alcohol. That means alcohol is good. This is not to say that alcohol came into existence week one. When God called everything good at the Creation, I think it is reasonable to assume that the grapes were still on the vines and the corn didn’t come in jars. Juice can ferment accidently I suppose, although if you leave your Welch’s out of the refrigerator for too long it’ll probably just become undrinkable. I’m no wine connoisseur, but from what I understand, lest you create vinegar or some rotten mess by mistake, there is a certain temperature range necessary and a balance of additives is required, usually including an additional leavening agent, to create fermented juice you might actually consider drinking. 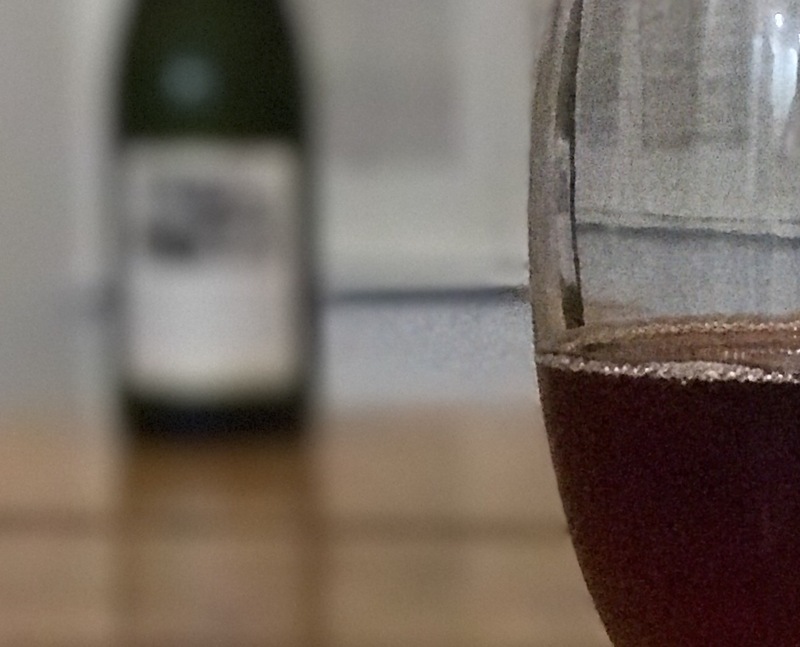 It’s not as simple as failing to refrigerate your grape juice, but I still believe it is God who provides alcohol to us for a reason – as a drug. It’s okay to use any drug for its divinely intended purpose. Alcohol benefits us as the drug it is. It’s a sort of poison, hence the word, “inTOXICant”. It is toxic not only to humans, but also to things that might harm humans such as microbes in unpurified water. Whatever harm the toxicity of small amounts of alcohol may cause to the human body are outweighed by the its ability to prevent vomiting and diarrhea. I have heard of taking a shot of whiskey to help a sore throat, or even consuming large amounts of alcohol to become inebriated for field medical emergencies like the amputation of a limb with a bullet in it. Some backpackers still use it to purify water, though we do now have more thorough methods for this. There is no question as to whether alcohol is a drug or whether it is appropriate to use it as such. The question is whether or not it is appropriate to use this drug recreationally. God gave us grapes; God also gave us hemp. Cannabis is useful for many things – such as for consumption as a nutritional food and for making coffee filters, paper, building materials, rope and string, and even fuel. It gets its reputation because it can also be used as a drug – marijuana. I am strongly in favor of the medical use of marijuana. I believe Paul would agree. It has been shown to greatly benefit many people as a natural pain killer for example, and we can thank its Creator for this along with its other benefits. Cannabis has been demonized by society because many use it as a recreational drug when there is really no medical benefit to be had. What hypocrisy this is! Although alcohol is permitted and glorified for recreational use in our society as well as in many Christian homes, it has been shown to be more harmful and poisonous to our bodies than smoking a joint. If you believe it is okay to drink alcohol in recreational moderation, I believe you must also accept that the recreational use of marijuana is just as appropriate (legality aside). Neither drug is chemically addictive, and the latter – marijuana – is safer than the former – alcohol. The Bible wasn’t written in English, and sometimes important things are lost in translation. I’ll do my best to keep this simple because simple is what I am when it comes to all languages other than English. I’ve only taken introductory courses to Greek over a decade ago, and I have not studied Hebrew at all. I rely on resources and dumbed-down explanations for 99% of what I’m saying here. There are two types of words in the Hebrew and Greek that I have used to identify the Bible passages relevant to this topic – words that always or sometimes refer to a substance that contains alcohol, and words that describe the act or condition of inebriation. Due to language differences and potential cultural differences between modern Americans and the first-century ancients, translated words might lose meaning, gain meaning, or imply an unintended meaning due to the limited options translators have in choosing an English equivalent. Most of the time a Bible student can deal with this using basic word study resources, many of which are available online for free. The word “love” is a fascinating example of this. Americans might love God, love their families and close friends, love ice cream, and share intimate physical love with their spouses. Greeks would have agape’d God, storge’d their families, phileo’d their closest friends, areso’d Italian ice, and eros’d their spouses (or something like that – my apologies to any Greek scholars reading this.) Sometimes the lack a translator’s ability to specify in translation which word for love is being used can affect the reader’s ability to understand the significance or the intended meaning of what’s written. Regarding love, I have found this especially true in the last chapter of the fourth gospel where two different words for love are used in the dialogue between Jesus and Peter – a beautiful and worthwhile study if you’re unaware of this and a good exercise in giving yourself an introduction in to how to do basic Greek word studies without any real Greek language training. You will gain some incredible insight into the conversation there when you can distinguish between the different words for love here. The reverse can also be true – that a Greek word can have multiple English equivalents. The point is that you can’t necessarily always take the English translation at face value. A translated word or phrase has the potential to mean more than, less than, or differently than the source word or phrase. Usually there is little to no serious implication to this in understanding the intended Bible message… usually. Why is this relevant? Because in the Bible, the word “wine” by itself doesn’t imply fermentation. The context may, but the word does not. The word “wine” in most English Bibles is actually a translation of the Greek word oinos and is thought to have originated from the Hebrew word yayin which is also translated “wine”. This word is most certainly in reference to the juice from a grape, but the condition of that juice – whether fermented or unfermented – is not inherent to the word itself. Yayin is what Noah drank, and it left him drunk and naked in his tent (see Genesis 9:21). But it is also used to refer to the juice of a freshly pressed grape (see Isaiah 16:10). Jesus seems to be referring to fresh grape juice in his discussion about putting wine into wineskins (see Matthew 9:17). But oinos is also used in the context of getting drunk – likely referring to intoxication (see Ephesians 5:18). The immediate context will sometimes make the presence or absence of fermentation obvious, but not always. It is rather unfortunate that we end up with the English word “wine” as the translation here, since when we use that word today it always refers to a fermented beverage with a relatively high alcohol content. Accepting the non-specificity of the word “wine” as far as alcohol content is concerned is essential to rightly dividing this subject. Some words are always used in reference to an alcoholic beverage. The Hebrew word shekar is usually translated “strong drink” and is the origin of the Greek word sikera which is also translated “strong drink”. Perhaps a case can be made that this does not always refer to something alcoholic such as vinegar, but so far I have felt comfortable assuming that it does. When I read “strong drink” in the Bible, I think about things like whiskey and moonshine. The Bible uses the phrase “fruit of the vine” in the context of Christ eating the Passover with his apostles, never oinos. I have never done any sort of study regarding where this phrase has been used outside of scripture in other Greek literature to find out if it is ever used in the context of alcohol, and it is only found in scripture once each in Matthew 26, Mark 14, and Luke 22. Here Jesus is making reference to the contents of the cup used in observance of the Passover, and to be used by the church to symoblize the new covenant in Christ’s blood. In these passages, this is clearly non-alcoholic grape juice. The Passover was called the Feast of Unleavened Bread because when it was established while the Israelites were in Egypt, they were required to remove all leaven from their houses and eat unleavened bread for 7 days (see Exodus 13:7). Paul later refers to leavened dough as symbolic of corruption or impurity (see 1 Corinthians 5:6-8) which suggests that the unleavened bread of the Lord’s supper, representing Christ’s body, is indicative of the sinless innocence of Christ. Considering that the creation of alcoholic wine involves the use of a leavening agent and process, I am certain that the wine used by Christ and his apostles in upper room for the Passover was not alcoholic. I have heard people say that it would have been impossible to preserve the fruit of the vine for use all year long, perhaps even implying that the fruit of the vine Jesus served was itself necessarily fermented as a result. That’s simply not true. There is written documentation of methods that were used to preserve grape juice dated as early as 160 BC. Even if some did preserve using fermentation, simply boiling it first could remove the intoxicant. There are many churches and denominations of the church who use alcoholic wine when they take the Lord’s supper. If we’re going to drink fermented wine for communion, we might as well let the bread rise too. The word “drunkenness” is translated in the Bible four times from the Greek – once as a derivative of oinos (“wine”) and the base of the word phluaros (“to babble”), and the other three times from the word methe which means “intoxication” or simply “drunkenness”. As I’ve already said, most Christians agree based on these passages that there is a point in which we have gone too far and consumed so much alcohol that we are in violation of God’s law. These passages (Luke 21:24; Romans 13:13; Galatians 5:21, and 1 Peter 4:3) present drunkenness in lists of evils to be avoided, except in Luke where Jesus seems to be referring to a poisoned heart rather than a physical intoxication. The question is not whether or not drunkenness is wrong – the Bible gives us that answer plainly. Nor is the question how drunk it’s okay to be – for drunkenness itself is considered evil so by implication all levels of drunkenness would also be considered evil. Is a murderer who only murders one man justified for not murdering hundreds, or is a petty thief excused for not stealing too much? The question we need to ask is more fundamental than these. What is drunkenness? I have never intentionally consumed alcohol for pleasure. The closest I have come to experiencing any level of intoxication is in the consumption of cold medicine containing a small percentage of alcohol. Most Christians I know that believe it is okay to drink recreationally say that each person is different. What might cause one to become drunk may not cause another. Yet this still does not help us to know what drunkenness actually is! There are more ways to understand something than through experience, and personal experience can be misleading. Perhaps we should start by consulting civil law with regards to drunkenness. In the United States, you are generally allowed to drive as long as your BAC (Blood Alcohol Content, or % of alcohol in your blood) is under 0.08. This is relatively high compared to most other countries. Canada only allows up to 0.05%, Japan up to 0.03%, and China up to 0.02%. Many other countries criminalize any driving with a BAC of greater than 0.00%. Obviously society, at least with regards to legal DUI standards, is not a consistent or accurate indicator of what drunkenness is. The “Alcohol Consumption” entry from Encyclopedia Britannica provides what I have found to be a good explanation of how alcohol is processed by the body when consumed. The jist of it is that when alcohol is consumed, it is diluted by whatever’s in your stomach and then absorbed to varying degrees by the stomach walls, then rapidly by your intestines. It basically shows that if you consume any alcohol at all, it will at least in part end up in your blood. There’s a chart showing how much the BAC different types of people will be affected by a certain number of drinks. Even a heavier person will have a BAC of around 0.02% with just one drink. Remember that the word drunkenness used in scripture means “intoxication”. A BAC, as I understand it, is the essentially a measure of the alcohol toxicity in your blood. At what point does the consumption of alcohol result in a change in your BAC? It starts with the first sip. If it’s in your blood, it’s being pumped through your brain. Whether or not you or others have the opinion that you should be considered drunk is irrelevant. If there is alcohol in your blood, you are intoxicated; you are experiencing alcohol toxicity that is having some effect on your cognition. That a glass of wine or a can of beer can help you relax evidences this as it exhibits one of the early (if less dangerous) mental impairments you experience when you drink. That’s my understanding of the process, and I believe it was also the understanding of the Roman world evidenced in part by the nature of one very important word: methusko. Paul told the Ephesians not to get drunk, but instead to be filled with the Spirit by singing together and to God. Don’t go to alcohol for joy and relief, go to one another and go to God singing songs with your voice and with your heart! The Message actually does a good job communicating the spirit of this passage when it says, “Sing hymns instead of drinking songs!” The words “get drunk” are a translation of a single Greek word, methusko. This is indeed a verb meaning to “get drunk” or to “get intoxicated”, but it is important to also notice the type of verb it is – an inceptive or inchoative verb as indicated by the -sko suffix. This type of verb is one that denotes a beginning (inception) or process of becoming. To understand the implications of this, let us consider another use of the inchoative verb in scripture – ginosko which means “to know” (notice again the suffix, -sko). This word is used frequently in scripture with reference to knowing God. What does it mean to know God? It means engaging in the process of coming to know God. We are either engaging in this process and therefore we know God, or we have not engaged in this process (or have stopped engaging) and therefore we do not know God. That in order to know God you must be knowing God is an inherent quality of the word choice here. 1 John provides great insight into this principle. He uses this word frequently alongside a different word also translated “to know” that refers to a knowledge gained by observation rather than one gained through experience by engaging in a process – another great word study you ought to conduct. If we apply this thinking to the phrase “get drunk” used by Paul, we might understand it better to mean “to engage in the process of getting drunk”. It is the action associated with the state of drunkenness. Any consumption of alcohol results in a level of drunkenness greater than zero, and Paul forbids that we engage in this process from its inception. To do so, he says, is itself dissipation or overindulgence. We have gone beyond the substance’s intended use in violation of God’s law. I’ve heard my grandfather say, “If you drink one drop, you’re one drop drunk.” The same is true of any such drug. We might say that someone who smokes just a small amount of marijuana gets a little high. But a little drunk is still drunk, and for Christians, any level of drunkenness is forbidden. It is very unfortunate that this awesome miracle is a necessary passage to examine as part of this discussion. This story is not about bringing God’s favor or condemnation to alcohol consumption. The point of this story is to teach us something very important about Jesus himself and our relationship with him. Still, at least in my experience, it is used as justification for Christians drinking alcohol more often than any other Bible passage I know of. In light of what has been discussed thus far, consider whether it is reasonable to understand the first of Jesus’ miracles – turning water into wine – from the perspective of the impermissibility of recreational alcohol consumption. The assumption that many make is that Jesus created wine as we think of wine – fermented fruit juice. This assumption basically forces us to reject that drinking alcoholic wine is sin. Jesus would surely not support the continuance of such behavior (“When the wine ran out…”) with miraculous intervention. In light of the Bible’s prohibition against any level of drunkenness, let us reconsider what else may be happening here. As discussed in section III, the word “wine” can refer to the unfermented fruit of a grape and does not imply fermentation. But is it really reasonable to assume that this is simply grape juice? It is a wedding feast after all. While it is true that in our twenty-first century American culture (and perhaps in many cultures throughout the world) it is customary for wine to be served at a wedding, we cannot assume that our wedding customs are the same as they would have been 2,000 years ago in a culture very different from our own. Additionally, although it is customary in weddings today, my wife and I did not have wine at our wedding, but we did have fruit punch! Many others today choose not to observe this custom at their weddings – some perhaps due to preference, and others like me out of a moral opposition to such. The headwaiter said, “Every man serves the good wine first, and when the people have drunk freely, then he serves the poorer wine; but you have kept the good wine until now.” The phrase “good wine” is likewise afflicted with cultural assumptions and bias. In our culture, the quality of wine has to do with things like age or brand reputation. Wine can even be an investment for some as they allow it to age in their cellars and thereby increase in value. Consider that in a culture not inundated with refined sugar and corn syrup, the sweetness of the wine might have been much more desirable and valuable than we consider it today. In most English translations, there is a clear difference in what Paul tells elders and deacons regarding wine. The word “much” is only used in reference to deacons leading some to conclude that by implication, deacons, but not elders, can consume some wine, just not too much. For elders, the phrase me paroinon is translated “not addicted to wine”. The word me means “not”. The word paroinon is made up of the prefix para-, meaning “from” or “near”, and the word for wine, oinos, discussed in section III. Some translations will render this “not given to wine” perhaps referring to the need for elders to not be associated with wine. Much of the instruction given to elders in this passage involves not only the reality of their character, but also the perception others have of them. The phrase used for deacons is me oino pollo prosechontas. Again, me means “not”. The word onios appears in its dative form, onio, making it the indirect object of the sentence, and is connected with the dative form of the word polos, meaning “much”. These two words can be translated “to much wine”. The word prosechontas means “to have or bring near” or “to turn the mind to or give attention to”. The King James Version most often translates this word as “heed”. Deacons are thus told not to have their minds set on an excess of wine. It is incorrect to think that the only difference between these two phrases is the addition of the word “much” as a casual reading of many English translations might lead us to believe. The two phrases are much more different than that. It is also inconsistent to highlight this distinction as implying permissibility. Elders are also expected to be free from the love of money (not covetous), and while this is not said in reference to deacons it would certainly be senseless to conclude that this could be interpreted as implying the permissibility of a deacon’s covetous heart. Maybe I should leave it to the Greek scholars to determine what is the real significance behind these distinct phrases, but I do have an idea. As discussed in section II, there is an appropriate use of alcohol. Deacons are not therefore prohibited from alcohol consumption completely, but should not have their minds set on consuming it to experience intoxication for intoxication’s sake. That would be too much. Deacons, like the rest of us, are permitted to use alcohol for its intended purpose as a drug, and should not exhibit any desire for it beyond this use. A deacon must not have a desire to indulge in wine. An elder, however, must be especially concerned with his reputation, considering the role he is supposed to play in the church. He is to be a shepherd and spiritual leader of the flock. He ought to be careful of the extent to which he is even associated with wine, being blameless. This does not mean an elder should neglect its medicinal benefit as a drug, but that he ought to be aware of how others could perceive his use of this drug. An elder must not be in close association with the wine. Now, the above explanation of these distinct phrases may not be perfect. I concede that I am no linguistic expert – just a simple man with a simple mind. I am sure other explanations exist that better explain the implications of these distinct Greek phrases. It is still falacious to assume that the use of the word “much” necessarily implies that some recreational consumption of alcohol is permissible. Alcohol is a drug, and it should be treated as such. Proverbs 31 is written from the perspetive of a mother speaking to her son, Lemuel, who is a king. The purpose of what she says here is to convince him to abstain from the consumption of alcohol. Some will focus on the latter part of her advice to him and conclude that there are situations where alcohol drinking is permissable and appropriate – especially in times of trouble and grief. If this is how the passage is to be understood, then it should first impact our attitude towards the poor and homeless. People often take up collections of non-perishable food to donate to charities and benevolence programs, and others give essential provisions directly to the poor and needy. Many churches likewise engage in food and clothing drives out of compassion for the less-fortunate. If we are going to treat this section of Proverbs 31 as an instruction to be taken literally, we should perhaps instead be hosting beer drives to distribute alcoholic drinks to the poor. Some Christians are cautious in how they give to those people begging at street corners with cardboard signs. They may keep non-perishable foods like peanut butter in their cars to give away instead of cash. The concern many have is that instead of using the money they receive for food, these beggars will spend it at the liquor store. Is that a problem? Based on Proverbs 31, why don’t we save them the extra effort and just keep a six-pack or bottle of whiskey in our cars to give away? This mother’s words to Lemuel are not intended to get him to consider circumstances in which it would be appropriate for him to do drugs or to give them away. She is trying to convince him that although there are some in this world who give themselves over to the bottle, he must be above that. Remember who you are. You’re a king. Act like one. She is not writing to those who are suffering nor even about how this king ought to treat them, she is simply using their behavior as an example in juxtaposition with the behavior a king should exhibit. If this passage is to be used as justification for drinking alcohol recreationally, it should first change the way you give to the needy. We ought to also remember Paul’s words to the Ephesians. Christians aren’t called to alcohol as a response to troublesome times. We are called to join one another in singing to God. Worship and edification are God’s answer to a broken spirit. This passage is a description of the effects experienced by someone who has had more than just a little to drink. Yet not only does it mention those who “linger long over wine”, but also those who “go to taste” it. Yes, the detailed description is of what happens to a person “at the last” or as other translations say “in the end” once a considerable amount has been consumed and alcohol’s poisonous effects are revealed. But the prohibition begins long before the final drink. The Proverb writer warns us not to even “look on the wine”. This is reminiscent of what Paul says of deacons – that their minds should not turn to wine. As with all sin, the worst manifestations begin with allowing evil to come into the heart. This is what Jesus taught in the sermon on the mount. Murder begins not with violence, but with hatred. Adultery begins not with illicit behavior, but with lust. Our hearts should be free of hate, and lust. Nor should we look on the wine, let alone go in to taste it. We always sin in our hearts long before we sin with our hands. I have no intention of neglecting to discuss any scripture that calls into question the conclusion I’ve drawn that no recreational alcohol is permissible. If the Bible teaches or suggests anything other than this, I want to embrace it. If there is any Bible passage to be used in justification of some recreational drinking, this is it. Some might suggest that the way in which strong drink was used is not specified, and we cannot therefore assume that it was not used as medicine or as a purifying agent. I actually think it is reasonably clear that at least at this particular time, for this particular people, in this particular setting, strong drink could be consumed according to what people desired despite its intoxicating properties and without any associated prohibition. These people were allowed to get drunk. This does not change what the Bible says elsewhere about drunkenness and alcohol. There are many things God has allowed and even commanded at various times that he prohibits Christians from engaging in today. Various instances of polygamy, allowances for divorce for reasons other than fornication, and even violent conquest against the wicked come to mind. When the Israelites were unable to make a long journey to offer a tithe at the place God had established, God gave his permission for them to consume alcohol in accordance with their desires. I’m not sure why he did so, but this does not imply that we (or they) would be permitted to consume strong drink for any reason in any other circumstances. Ultimately, we are accountable only to God for our choices. Although I believe God has spoken clearly on this issue, Satan can still be very convincing. We live in a society where the consumption of alcohol for pleasure is considered acceptable in social, business, and private contexts. The consensus seems to be that there is no harm in a drink, and that you are missing out on something great if you choose to abstain. I know many Christians who likewise sincerely believe moderate drinking is okay. From the beginning, Satan has used deceipt to lead people into sin. Thus, the passage in Deut. 14 is not permitting getting drunk, to the contrary they consumed none of it as it was all poured out in devotion to God. Okay, I think I misunderstood the passage a little bit too. They WERE still expected to make the journey, but if their tithe was just too difficult to carry over that distance, they could convert it to currency and repurchase what they needed in Jerusalem. This is probably the type of thing that led to the temple becoming a marketplace in Jesus’ day. That considered I think your explanation makes good sense to me! Thanks for the good insight. Either way I think it’s clear I don’t believe there is anything legitimately permissive about Deuteronomy 14. I’m going to leave my post unedited and let folks peruse the comments for this additional info. It’s a rigorous exegesis in relation to wine and, by extension, alcohol in general. I enjoyed following the objective analysis and its implications vis-a-vis your personal code of conduct. How do you deal with the phenomenon of the nazir? A reality where there is a separate code of laws applying to a nazir implies a recognition that ordinary people live the opposite way, e.g. shaving and drinking wine. Also, though your approach is that of a scripturalist, what of the monastic tradition common throughout Europe of brewing beer? Nowadays we’re told the Trappists brewed beer to ease periods of fasting such as Lent, which might constitute ritual rather than recreational use; but somehow that doesn’t sound convincing — they must have been consuming beer throughout the year, not to mention supplying it to consumers outside the monastery. There’s definitely a distinction in that a Nazirite couldn’t even eat a fresh grape. As for the abstinence from strong drink, I can only speculate. There are legitimate uses of alcohol as medicine, or as the verse itself points out, making vinegar. I’d never considered that before now honestly, but my preliminary thought is that this may be similar to the instructions given to elders and deacons. As for tradition, I believe a lot of traditions are bad traditions. I don’t know much (anything) about the Trappists either, but am I correct in finding that Catholic order wasn’t formed until 1892? I generally am okay with most human tradition as long as it doesn’t go against what the Bible teaches. I think in this case it would, so I would reject the tradition. I am generally on board with the principle of sola scriptura as a theological and hermeneutical concept.